There’s some context that’s necessary for this post. 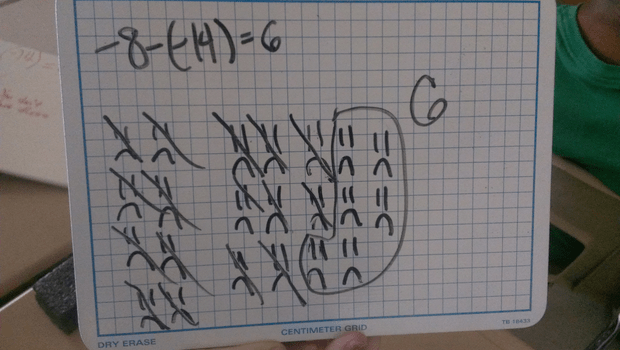 So go read Nathan Kraft’s post about arithmetic with negative numbers. This piece of student work is kindly submitted by 3-act maven Chris Robinson. Posted in Arithmetic, The Number System.